Does the moon cycle affect human physiology? I heard you on ABC Breakfast talking of the full moon effect. I have suffered in no small way from it all my life and medicate myself to sleep in a full moon, otherwise I don't sleep. As an engineer and science interested person I have thought a lot about this phenomenon and have come up with a theory, which I'm very surprised has not been considered previously. You said in your article that gravity was excluded as a factor, but this is not the case. Gravity is affected by the mass of the moon and it's proximity to your location. The tides have complex interactions with the earth and the sun, so making conclusions from the tides alone is not always valid in relation to gravitational forces. Lakes are not tidally affected because there is no where for the water to go. The ocean tidal waters don't go up and down like a bath tub level, they go in and out like the waves on a beach. I conclude that the increase of the gravitational force makes sensitive people restless, and hence in a sleep lab, they are still exposed to gravitational changes. I suggest the way to verify this is to measure the gravitational force at different cycles of the earth and moon. I am also affected by air pressure in a similar way.When the air pressure is high, and it'sa full or near full moon, I'm unable to sleep without medication, and if I do partially sleep, I have wild dreams. When the opposite is the case, I sleep like the dead. Temperature is the other obvious variable that exacerbates this cocktail of influences as well. Also, from a natural selection view, maybe we are restless at times of full moon as we are more visible to night predators, and need to keep more alert for that. As I said, I'm amazed that science hasn't resolved this question a long time ago. So much of nature is cycled by the moon. Hannah - To answer Martin's sleepless question, we turn to clock doc, John O'Neil from the Laboratory of Molecular Biology in Cambridge where he works on circadian rhythms. But what exactly are circadian rhythms and how is it relevant to Martin? John - Your circadian rhythm is the approximately 24-hour biological clock that ticks away in every cell of your body, priming us for wakefulness in the morning and making us feel sleepy at night. Hannah - Aha! So, could the moon cycle or atmospheric pressure changes affect our circadian rhythms in some way and disturb sleep. Let's start with atmospheric pressure. What's the data on that? John - I'm afraid there is very little that's known about the effects of high atmospheric pressure on human sleep. Hannah - That's disappointing. Okay, well what about the moon? Is there any data linking the lunar cycle to Martin's reports of disturbed sleep and wild dreams? John - When it comes to lunar cycle, beyond the historical folklore, the moon very much continues to influence modern day human cultures. But despite a persistent belief that our mental health and other behaviours are modulated by the phases of the moon, until very recently, there has been no solid evidence that human biology is in any way regulated by the lunar cycle. It has been speculated however, that just like with the circadian clock which synchronises to the cycle of day and night, there may exist in humans a lunar rhythm that synchronises with the phases of the moon, as has been observed in certain marine organisms. So, just last month, Anna Wirz-Justice and colleagues performed a retrospective analysis of human sleep data, collected under stringently controlled laboratory conditions with neither the participants nor the investigators being aware of the lunar phase. They found that during the full moon, on average, participants experienced a 30% decrease in deep sleep, otherwise known as NREM sleep, a 20-minute reduction in total sleep, and that it took 5 minutes longer to fall asleep even though they didn't know it was the full moon. This implies that lunar rhythms do exist in humans and it would seem reasonable to expect that some individuals such as your listener perhaps are more sensitive to them. Previous Is there any benefit of having "power naps"? Next Can you make any astronomical sightings during the day? Does shift work affect your brain power? 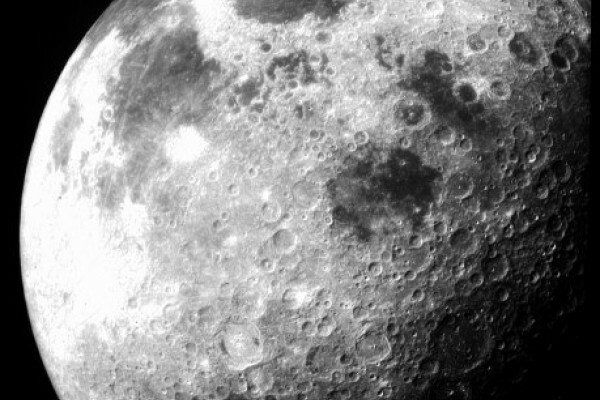 How do we know the weight of the moon?